Ernest Hemingway devoted a large part of his writing life to nonfiction in the form of newspaper and magazine journalism and especially in the form of five full-length books. His nonfiction, however, is usually taken only as a diversion from the main business of his career, fiction, and examined only for light shed on the fiction. 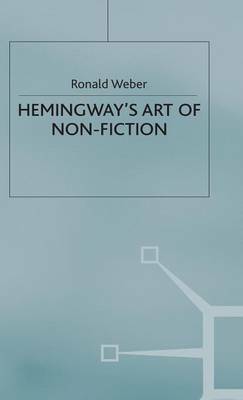 In this study - the first devoted exclusively to Hemingway's nonfiction books, the heart of his effort as a fact writer - the work is considered in its own right as a central part of his achievement.